Driving a hybrid car. It isn't that hybrid cars are safer than their gas guzzling counterparts. However, the statistics that insurance providers rely on repeatedly show that drivers of hybrid cars tend to be involved in less collisions than the average rates. The hypothesis here is roughly that people who care about conserving resources (and managing their finances well by diminishing the amounts of money they spend on fuel) are committed to doing most things right: they share the road considerately, and do their best to avoid dangerous situations. So if you drive a hybrid car, be sure to mention this to your insurance provider! Safety features of your vehicle. Airbags and anti skid lock brakes are the most commonly known and implemented safety features found in cars being manufactured today. Obviously the more safety devices your vehicle has, the less chances there are of collision, and the less the extent of damage if there is a collision. Theft deterrents. Your vehicle is likely equipped with basic anti-theft mechanisms, such as a motion activated alarm. However, there are measures you can take to make theft even less likely, and doing so is doubly beneficial to you: you lower the chances of your car being stolen, and you lower your insurance premiums. There are several means by which to do this: there are switches that will disable fuel and ignition when improperly activated. There are also systems for tracking stolen vehicles. Additionally, engraving your vehicle's identification number on various parts of your car make it easier to identify and retrieve it if it is stolen. Your loyalty. 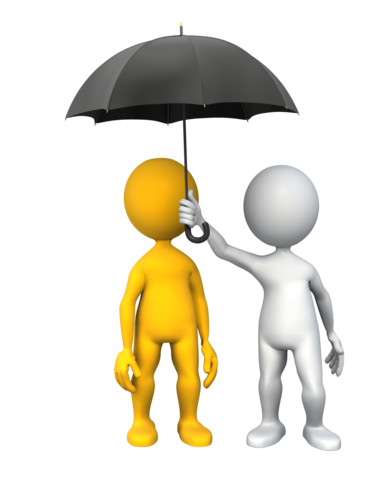 Have you been with the same insurance provider for a long time? Or are you using the same provider for all of your insurance needs, home, auto, and so forth? Ask them to make it worth your while! Chances are that they will only be too happy to use this means of thanking a valued customer. Good grades. If you are a student, having good grades does the same for you that having high credit scores does for your parents. Good grades (usually) go hand in hand with responsibility, and statistics do show that this responsibility is carried out onto the roads. Having a credit score of 700 or above: while your insurance company likely won't give you a detailed breakdown of the rates attached to various credit scores, you can know with certainty that a high credit score should equal a reduction in rates for you. If you have a credit score of 700 or above, be sure that your insurance provider gives you evidence of the discount you are receiving for this. Your social life: some insurance companies will give you a discount for belonging to certain organizations—especially fraternities and sororities, and other clubs. This is not necessarily because of any statistical findings of a correlation between safe driving and membership in these communities, but there are often relationships forged between such organizations and specific insurance providers. If you belong to such an organization, it's worth asking about whether there is an insurance provider that gives members competitive rates. Doing your job: as we discussed previously, statistics have found that people in certain occupations may be more or less likely to be involved in collisions (and that the likelihood increases where the job necessitates that you spend more time on the road). How do you use this to your advantage? If you are in an occupation that involves minimal driving, and that ranks low in the likelihood of involvement in collisions, point this out to your provider. Additionally, shop around: some insurance companies actually have preferred professions they give discounts to, and they're not all the same from one provider to the next. Find the one that will specifically give people in your occupation a discount. Going digital: paperless statements are no longer what you'd call cutting edge, but they're still exciting—at least when it comes to insurance: as an incentive to go paperless, many insurance providers offer a discount to customers who opt for this method. Additionally, insurance providers see people who take environmental concerns to heart as generally more responsible (and thus, better drivers). Your job: The job you work in actually has bearing on your likelihood of being involved in a collision. Why? Because it determines (A) how much time you will be spending on the road as a result of your work, and (B) when you are most likely to be on the road. Jobs that require you to drive among multiple locations throughout your work day present more of a risk of collision than office jobs where you stay in the same building the entire day. Additionally, your occupation will have certain hours of the day associated with it. If these hours require you to be on the road at the busiest times of day (ie when accidents are most likely to take place) you can expect this to drive (pun intended) your premiums up. Your credit: This one comes as a surprise to many people, because it's hard to see, at first glance, how credit history could affect your driving behaviours. Nevertheless, the research indicates that there is definitely a correlation between poor credit history, and a propensity for accidents (even if the relationship between the two is a debated matter). This means that an individual with bad credit may be paying anywhere from 20% to 50% more on their insurance premiums than someone with a good credit history. Your driving history: On the whole the past is generally a very good indicator of the future. Drivers with a high-risk history are likely to have a high-risk future, and their auto insurance premiums are higher accordingly. Specifically, factors like past collisions you have been involved in, as well as tickets you have received for various infractions, will determine just how much more of a risk you carry than the average driver. The car you drive: Yes, the make, model, and year of your vehicle affect your rates. This is definitely something to take into consideration when purchasing an automobile. The auto insurance industry relies on research that analyzes every available vehicle on the market in areas such as: purchasing price, safety, rate of accidents, and so forth. The higher a specific vehicle scores in safety ratings (and the lower its rate of accidents) the lower the insurance premium will be for that car. Conversely, the higher the purchasing cost of the vehicle (which will subsequently result in it costing more to repair), the higher the insurance premium will be for that vehicle. Age: Insurance providers rely on data collected over several years to help determine which age groups are most likely to be involved in collisions. What this means for you is that if you fall within one of those age groups, your premiums will be higher. For example, drivers between the ages of 16 and 23 are four times more likely to be involved in a fatal accident than the average driver, and 16 year old drivers have the highest driver fatality rate of any age group. The other age group that has been found to have a high rate of accidents is the 75 plus crowd. So when can you expect your age to give you a bit of edge with lowering your premiums? It turns out the safest group of drivers (in terms of age) are those between 40 and 50 years. Gender: Gender is actually very closely linked to age in that it is more of an affecting factor when assessing younger drivers. While we have determined that the riskiest age group for drivers is the 16 to 23 range, this risk is not shared evenly among genders: young male drivers are far more likely to be involved in a fatality than young female drivers. Interestingly enough, drivers in this category may get a bit of a break if they are married: it turns out that married men are less likely to engage in risky driving than their single counterparts. The more advanced you become in years, the less likely gender is to be a factor in determining your premiums. That said, there are insurance companies that will consistently offer lower rates to women. Your home: What? But I don't drive my home, I drive a car! Ah, but where you live certainly has a bearing on how likely it is for you to be involved in collision. For example, those living in densely populated urban regions are far more likely to be involved in an accident than those living in remote, rural areas. When buying a new home, and trying to decide between the convenience of being in the heart of the city versus the relative quiet and affordability of the suburbs and beyond, perhaps the effect your neighbourhood has on your auto insurance rates should factor into your decision! Settling for the first option you find. You are your primary advocate. This has to be the case simply because nobody knows your circumstances and needs as intimately as you do. The only way to ensure that you are meeting those needs is to communicate them clearly to a potential provider, and then to critically assess how well this provider is willing and able to meet them. To maximize success in this endeavour, it is necessary to: (A) ask plenty of questions, and (B) speak to plenty of providers, choosing the one that best meets or (ideally) exceeds your expectations. Buying more coverage than you need. We certainly don't advocate skimping on the coverage you need. After all, nothing is more wasteful than buying into an insurance plan that doesn't give you the coverage you need in the end. That said, you can assess whether it is unlikely for you to face a certain type of calamity, and if it is, to opt out of that coverage. Do this with caution though: there are many types of crises that simply cannot be anticipated (such as fires and thefts). And if you do go this route, do so realizing that it may cost you more if you do have to make a claim. Purchasing separate plans. Your home isn't the only item you are insuring; you have at least one other item you are paying insurance for in your vehicle. Are your home and your vehicle insured separately, perhaps by different providers? If so, you are likely losing money here. In this regard, insurance is a bit like phone/internet/cable plans: you get better rates when you take a package. Note, however, that this doesn't automatically mean that all insurance packages are necessarily cheaper than patchwork plans. You still have to shop around to ensure you're getting the best rates. Trying to DIY. Certainly there is a higher upfront cost to seeking the advice of a professional. Many people seek to bypass that preliminary cost by doing the research themselves. If you are considering this route, be honest with yourself about your capabilities. Are you sure that they will match the expertise of a professional? Will you find yourself the best rates and know how to navigate the terminology and the insider's resources that a broker has access to? The last thing you want to do is work hard to find the cheapest rate possible, only to find—at the time of crisis—that your coverage is next to nil. Remember that the cost of a professional is a one time thing; the cost of a DIY mistake could be ongoing. Leaving for the bus stop with enough time. Get your children into the habit of leaving early with plenty of time to walk, not run, to their bus stop. (This will prep them to become safe drivers who leave themselves adequate time to drive where they need to, foregoing the “need” to speed, tailgate, and cut off fellow drivers.) Injuries are more likely to occur when your child is frantically scrambling to catch a bus—particularly in the winter when roads and walkways may be icy. Placing importance on good time management is key here, as well as emphasizing the fact that even if they are late, they should still walk, not run. Never chasing a missed bus. Despite our best intentions, we're all going to have off mornings. Even a child who is well prepared to leave on time most mornings is going to have a morning where things don't go as planned. Make sure your child knows never to chase a bus they have missed. Instead, have a backup plan (such as coming back home if there is an adult to let them in). Your child is less likely to panic and chase the bus if they know there is a plan, and that they will be okay even if they don't get on. Indoor voices. Noise is one of the worst distractions any driver has to deal with; for a bus driver, this distraction is (literally) amplified by the number of passengers that may potentially contribute to the noise level. It's important that your children be made aware of the need to converse quietly. Remaining seated, forward-facing at all times. A bus full of children isn't just a potential distraction for the driver, but for the children themselves. With so much chatter and motion going on around them, children may have a hard time sitting still. While this is understandable, they also need to be made to understand that the safety features of a school bus work best to protect them if they are seated properly. Keeping the aisle clear at all times. Blocked aisles can be tripping hazards. Additionally, in the event of an emergency, clear aisles ensure that everyone will be able to get off of the bus quickly and safely. Only speaking to the driver when the bus is stopped. Talking to the driver at any other time is distracting and dangerous. Never throwing or tossing objects on the bus. This can compromise the driver's ability to drive safely, and can cause injury to others on the bus. Travelling with an infant can be overwhelming for the parent that needs to meet all of their child's health and safety needs both on the go, and in a foreign place. There are so many aspects to your new child's care, and it can be daunting trying to identify and plan for these in advance. One such area that new parents often wonder about is what to do about car seats when they are travelling via plane. Of course when you are driving to your destination, this is not an issue: the car seat makes the journey with you. But what do you do when you're flying? If you are visiting a friend or relative who already has a current, unexpired car seat that has not been involved in a collision, and that is not being used by another child at the time of your visit, you may be in luck. However, these instances are rare, and don't prepare parents for those trips where no such arrangement is possible. If you have ever traveled by plane, it is unlikely that you have not seen new parents traveling with their infants. Looking back at such instances, you'll probably recall that the child spent the flight on their parent's lap. Most airlines allow this arrangement for children up to two years of age. In such cases, where the child does not have their own seat, the prudent thing to do is to bring your car seat with you. In all likelihood, your carrier will offer free check-in for such an item, so it will not be subject to baggage fees. This will ensure that you have a car seat which you know, first-hand, to be safe and suitable for your child. Some travelers worry about the chance of such an item being lost if checked with baggage. This would certainly leave you in a bind when you get to your destination. To prevent this, take advantage of the option that airlines offer to check the car seat at the gate. This will save you the anxiety of going to search for it at the baggage claim; once you disembark the plane, simply wait in the corridor, and gate-checked items will be brought out to you. However, despite that this is the most common arrangement that parents make for traveling with an infant, it is actually not the safest. The reason it is the most popular is because it is the most economical. But the safest way to travel with your child and their car seat is to purchase a seat for your child, and to install the seat directly on the flight so that your child is well protected for the entire duration of the journey. The biggest advantage to traveling this way is that in the event of extreme turbulence, when the parent carrying their child may not be able to prevent injury to the baby, the seat will give far more protection to your child than you possibly could on your lap. Additionally, we know that baggage isn't necessarily treated with the utmost caution and delicacy; we've seen bags that have started the journey looking new, and finished it looking beat up. This unnecessary wear and tear is not something you want to expose your child's car seat to if you can help it. Of course, the major disadvantage to this alternative is the cost of purchasing a seat for your child. However, several airlines offer discounted fares for infants. Talk to the airline you intend to travel with to learn their policy on the matter. You will find that, if you can manage it, flying with your child in a car seat will be both safer and more enjoyable for all involved. Set goals. Make a list of each area in your home that you plan to address...but don't stop there: organizational gurus say that task lists in and of themselves aren't enough for us to meet our goals. We have to assign a specific time to each of those tasks in order for them to actually get done. When we treat those assigned times as appointments, we are far more likely to accomplish those items that made it onto our lists to begin with. Check your arsenal. Before you launch your attack, ensure that you have all of the supplies and equipment you will need. Nothing spoils a morning begun with good intentions like the inability to follow through with those intentions, simply because you can't find a replacement bag for your vacuum. One way that you can plan your supplies effectively is to go back to the task list you initially drew up; beside each task, jot down the items required for its completion. Once you've done this for every task on the list, check for all of the supplies you noted, and acquire whatever is missing. Purge. In the interest of efficiency, resolve not to waste time cleaning around clutter. The easiest room to clean is a sparse one—or at least one where there are no knick-knacks and tchotchkes for you to dexterously dance around with your duster. There is no room for clutter in the clean-o-sphere. The point here isn't simply to find a nice little box to hide it all away: rather, get rid of as much of it as you can. The less you have to maintain, the more likely you are to do this kind of maintenance regularly, keeping your home in tip-top shape. Work top-down. To avoid having to re-address an area you just cleaned, start at the highest elevation of the room you are working on, and continue downwards. This way, you won't have to re-sweep your floor several times, as you knock dust onto it with every shelf you clean. Start with ceilings and high shelves, and finish with floors and baseboards.